Get the Tools You Need to Talk to Your Loved One. With such an emotionally charged topic, starting a conversation about senior living services with your loved one can be difficult. Before you begin the conversation, it is good to have a plan. 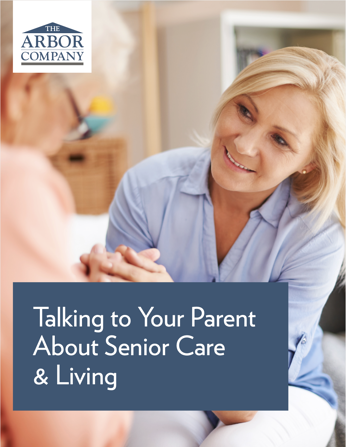 With this ebook, you get ideas on the best way to have this discussion with your parent or loved one. When to decide to talk to your parent about their senior living needs. How to make an honest evaluation of their situation. How to discuss and plan with other family members or caregivers. Use the form the the right to download your guide now.